The Mercedes-Benz L600 is one of the most popular trucks in the company’s history. And rightly so, it is the first post-war heavy duty truck that is offered in a wide range of versions. The truck is famous for its comfort in the cabin, the attractive design and of course for transporting nearly everything you can imagine. 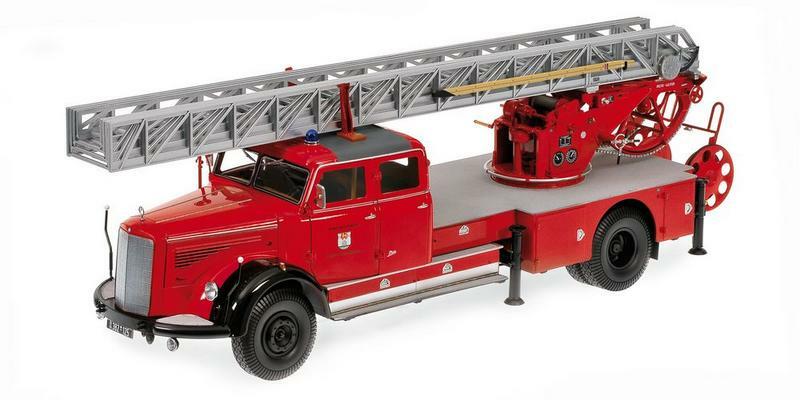 You can now have this amazing truck in your diecast collection thanks to Minichamps who have made a 1:18 scale model of it. We will waste no time and tell you right now that the model is stunning. The sheer size and presence is enough, but it offers also amazing details and quality. But before we get to the model, let’s familiarize ourselves a little with the actual truck. It was first produced in 1950 as a longer hood version of the range. The longer hood accommodated a 6-cyllinder engine with an 8.3-liter diesel engine developing 145 hp. It wasn’t the fastest truck out there but it was one of the best for moving heavy loads, especially at long distance. The truck was made in many versions including flatbed, platform, tanker, refrigerator, dump-truck and etc. 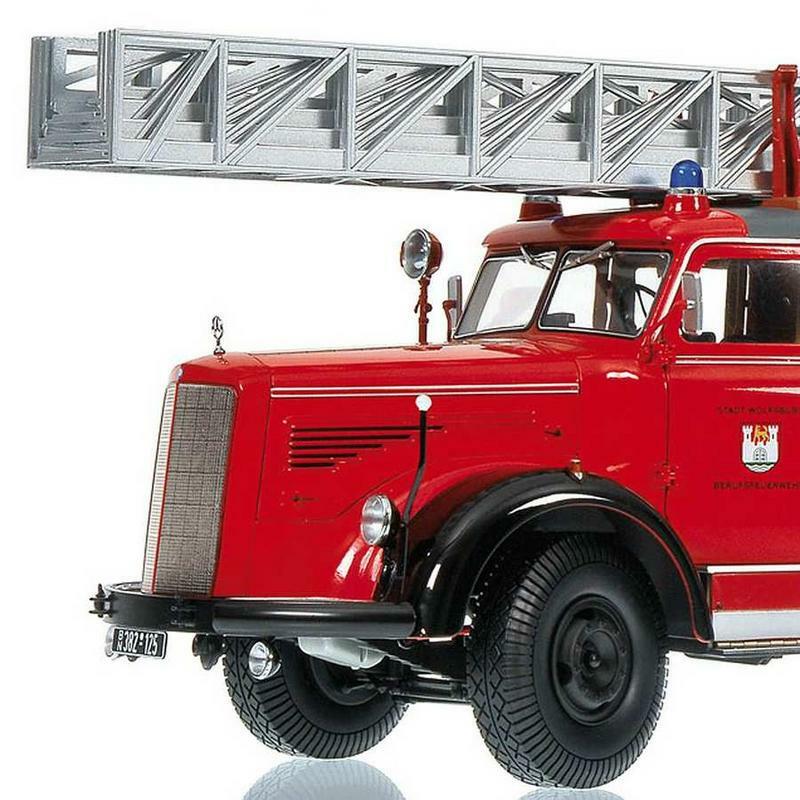 It was also ideal as a fire truck and more specifically as a aerial ladder. And this is exactly the version Minichamps’ new model represents. It is now time for us to take a more detailed look at the model. The images are provided by mdiecast.com. As always we start with a general look at the exterior. The first thing you will notice is the sheer size of the thing. It is around 50 cm long and more than 14 cm tall and high. It is also pretty heavy at around 3 kg which makes it the heaviest model Minichamps has ever produced. The level of details is amazing. Take a look at the front for example. The beautifully made front grille, the superb wheels, lights, bumper… Everything is made extraordinarily well.